across education and corporations of all sizes. with a fully flexible, feature rich and exciting online experience. Deliver consistent rich video across all devices. 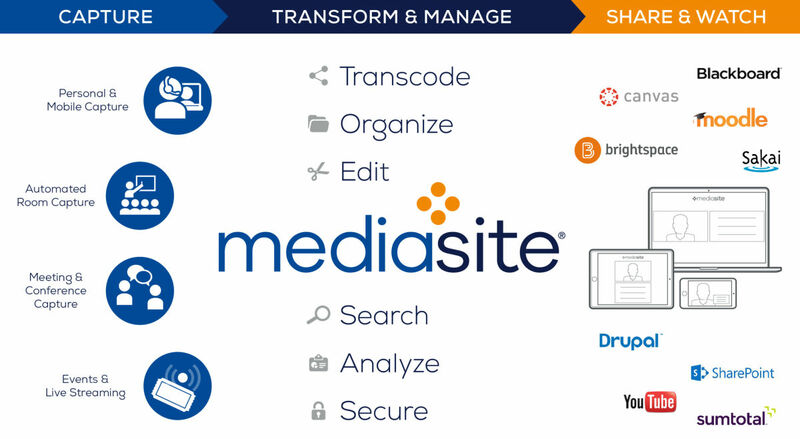 Mediasite users experience the same video, content, search and engagement tools that are available on their computers. Deliver to Mac®, PC, iPad®, iPhone®, iPod®, Android™and Surface™, whilst ensuring that viewers with a variety of bandwidth speeds and device types all have the smoothest playback possible with adaptive bitrate streaming. Mediasite’s highly interactive experience noticeably enhances learning, boosts content mastery and improves retention. 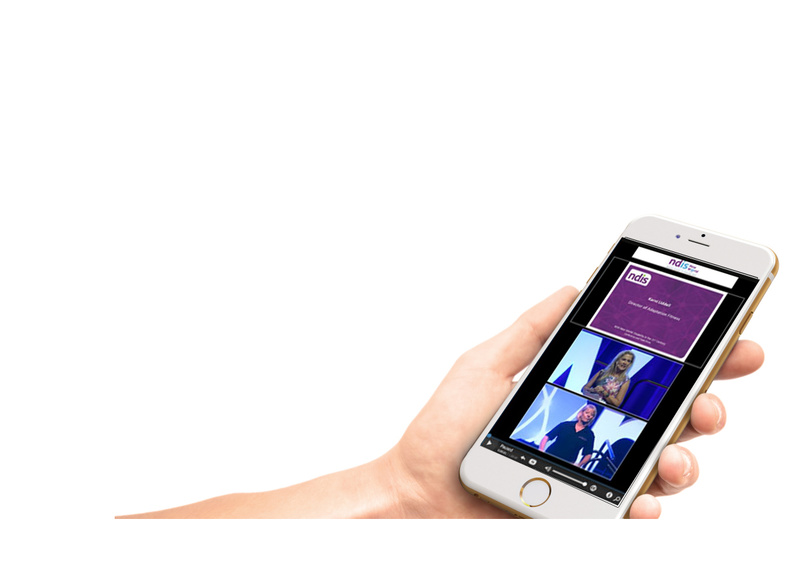 With the MultiView players, you can capture and stream up to four HD content sources simultaneously, whilst engaging viewers with interactive polls, live questions, post-video surveys, chat and related resources links. Powerful Mediasite Analytics help you understand viewing behaviours and measure your content’s impact. Mediasite SmartSearch automatically makes all your videos as searchable as text, so you can find keywords anywhere – in audio, slides, handwriting, video or tags. Text in Slides, screencasts, handwriting or annotations via powerful OCR (optical character recognition), or Video voice tracks from speech-to-text transcriptions or closed captions. Leverage role-based authentication and permissions to control access to all Mediasite applications and content management functions. Mediasite is the most trusted enterprise webcasting, lecture capture and hybrid event platform in the world. Mediasite is used by over 2500 organisations with some of the biggest names in business, defence, government and education trusting Mediasite for enterprise webcasting and video content management. It’s no surprise that Mediasite has been consecutively been named Global Market Leader & Best Webcast Platform in key industry awards. 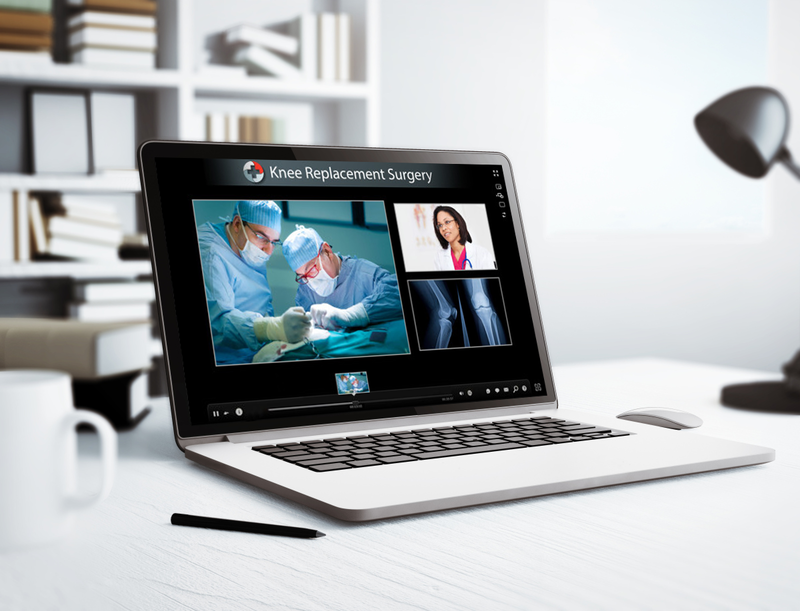 The award-winning Mediasite webcasting technology completely automates the recording, distribution, management and analytics of high-quality video and multimedia presentations. Content Bank Australia are the Australia Authorised Partner of Mediasite by Sonic Foundry®. With 15 years experience in partnership with Sonic Foundry, Content Bank support the sales, installation, training and support of the Mediasite Video Platform in Australia, whilst delivering webcastcloud hosting for streaming services and live and on-demand event webcasting. Content Bank provides its customers with a single point of contact for products and services, cloud hosting, CDN services, consulting, technology selection, Installation and Support. We build complementary products, features and services to meet the expansive video needs of our customers. Start with a few users, a department or go campus or company-wide. When deploying inside your IT environment, there are multiple options to consider to scale for your growing audience. Get setup in an instant with our turn-key Mediasite Cloud SaaS. With a variety of flexible plans to suit your viewing audience customised to suit your viewing audience. Start with one single event, and grow your audience as you go. 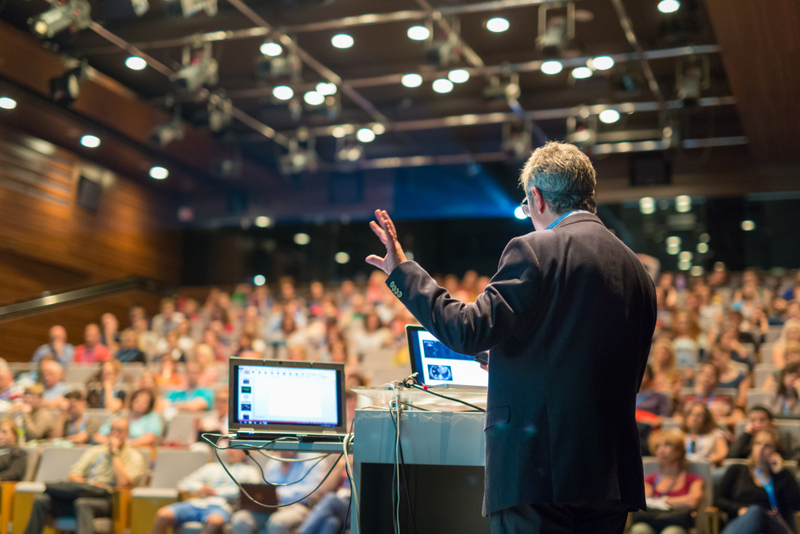 We provide event webcasting services for conferences and events of all sizes – live or on-demand. Arrange a Free Trial with us.